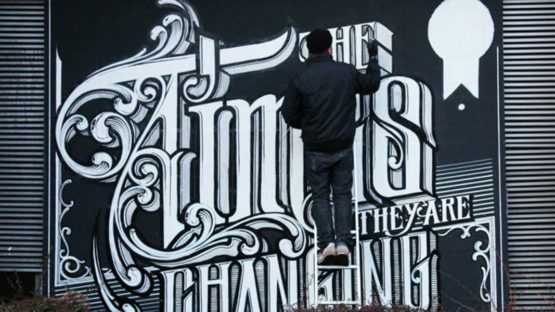 Pascal Flühmann aka Kkade is a Swiss street artist and graphic designer, whose style is constructed from various elements of graffiti, typography, and calligraphy. He is a member of SCHWARZMALER artist collective. Kkade lives and works in Bern.